One of the highlights of the reading year (at least around these parts) is the announcement of the Man Booker International Prize longlist, and 2019 is no exception. This year’s selection will be made public on the 13th of March, when twelve or thirteen books will be presented for the wider reading community to marvel at (or criticise…) – and, of course, for our Shadow Panel to dissect. In betting circles, there’s nothing like ‘form’, and several contenders have it in spades. 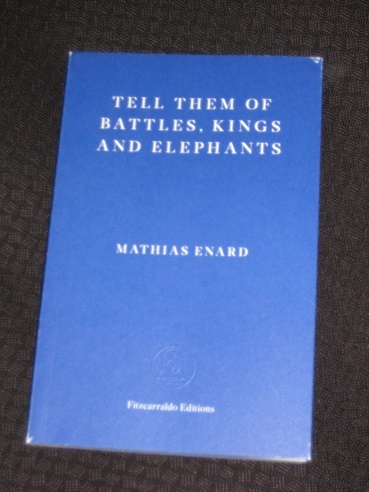 Mathias Énard and Charlotte Mandell have been constant presences on our Shadow lists, with a couple of appearances on the real ones, too, so you’d expect the French writer’s short historical novel Tell Them of Battles, Kings and Elephants (Fitzcarraldo Editions) to be in with a shout. However, the familiar faces don’t stop there. Roy Jacobsen’s The Unseen was very popular with the Shadow Panel a couple of years back, and with the two Dons, Bartlett and Shaw, on translation duties for the sequel White Shadow (MacLehose Press), it’s hard to imagine this one not being considered. Moving on, there’s the new book from Samanta Schweblin, Mouthful of Birds (translated by Megan McDowell: Oneworld Publications) and the second part of Virginie Despentes’ Vernon Subutex trilogy (tr. Frank Wynne: MacLehose Press). We even have a new novel from the defending champion, with Olga Tokarczuk’s eco-thriller Drive Your Plow Over the Bones of the Dead (tr. Antonia Lloyd-Jones: Fitzcarraldo Editions) looking to bring home the prize once more. I’d be very surprised if we didn’t see a few of these on the longlist. As well as form, there’s the allure of a big name (something that’s hard for judges to resist), and several prominent writers have books eligible this time around, even if not all of them have met with universal acclaim. 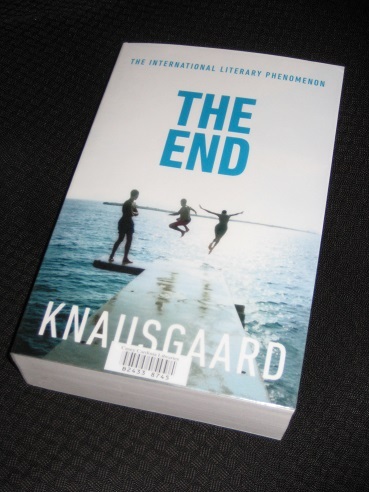 The End of Karl Ove Knausgaard’s My Struggle series (tr. Don Bartlett & Martin Aitken: Harvill Secker) was met with more relief than joy, and Haruki Murakami’s latest doorstopper, Killing Commendatore (tr. Philip Gabriel & Ted Goossen: Harvill Secker), wasn’t all it might have been. On the other hand, two shorter works by Dag Solstad, T Singer (tr. Tiina Nunnally: Harvill Secker) and Armand V (tr. Steven T. Murray: Harvill Secker), have been received far more positively, so I suspect they’ve got more of a chance of being included. While these longlists are usually dominated by European writers, I’m hoping for a few of my favourite Japanese and Korean writers to make the final selection, especially with Murakami not really likely to do so. I’d actually be surprised if Sayaka Murata’s Convenience Store Woman (tr. Ginny Tapley Takemori: Portobello Books) wasn’t selected, given its popularity, and with Yoko Tawada’s The Last Children of Tokyo (tr. Margaret Mitsutani: Portobello Books) having won the National Book Award for Translated Literature over in the US, it must be in with a shout here, too. 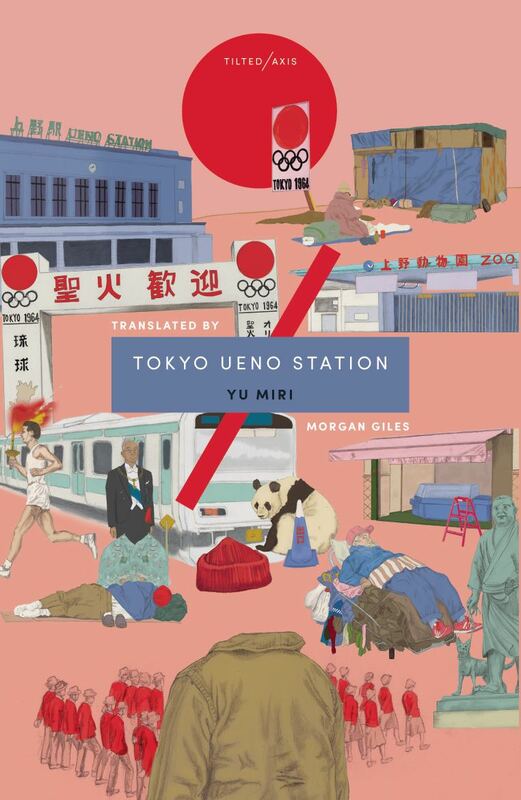 However, one I actually preferred to both of these is a book I reviewed recently, Yū Miri’s Tokyo Ueno Station (tr. Morgan Giles: Tilted Axis Press), and even though the release has been pushed back to the end of April, I think that still makes it eligible for this year’s prize. Of course, the MBIP longlist is always a good chance for smaller presses to shine, and there are several books I’ve read that would grace the selection. 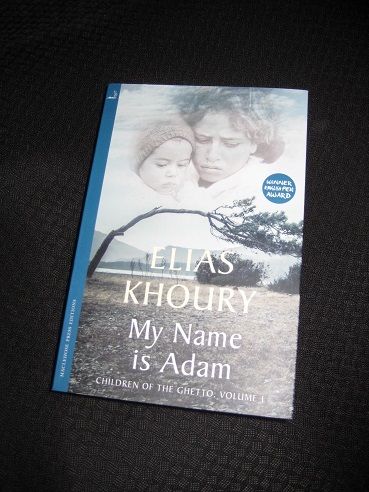 Yet another MacLehose possibility is Elias Khoury’s My Name is Adam (tr. Humphrey Davies), the first book in a new series on Palestine. By contrast, Peireine Press haven’t been as fortunate in recent years, but both Guðmundur Andri Thorsson’s And the Wind Sees All (tr. Björg Árnadóttir & Andrew Cauthery) and Virve Sammalkorpi’s Children of the Cave (tr. Emily Jeremiah & Fleur Jeremiah) might be outside bets. If I had one overall guess I suspect (and hope) the prize may be a little less Eurocentric than normal. Charco have several Latin American contenders – German Room by Carla Maliandi was my person favourite of theirs this year. Shatila Stories could well get selected for its interesting construction and political resonance – essentially workshopped with multiple people in the Shatila camp. Like a Sword Wound could be a contender but is actually translated by (I think) the brother of one of the jurors, so perhaps ruled out. From past favourites, Javier Cercas also has a new novel out in time to be eligible. Paul – Some interesting ideas there, and I’d love the idea of ‘Shatila Stories’ being chosen (we’ve just had our own example of high-profile refugee literature here in Aus, with a book written by a man in a detention centre taking out a top prize…). FULCHERKIM, is your list available? If so, where do I find it? I reckon The Last Children of Tokyo / The Emissary rather than Convenience Store Woman (although both could appear I suppose) . This is now crossing over from conversation in the Goodreads thread, as I think the former has a good chance because of its relevant political angles: isolationism and the effect of environmental damage on children. Not convinced The Baghdad Clock would appear as I get the impression it’s aimed at an audience similar to Khaled Hosseini’s books rather than the MBI one. And I wouldn’t like to say which of And Other Stories’ books will appear, but I’m sure there will be at least one out of of The Iliac Crest, The Remainder or Tentacle. I haven’t read Armand V, but I loved T. Singer. Much preferred the convenience store woman in At Dusk over the novel, Convenience Store Woman. Resistance and The Distance Between Us share similar themes of time and place, but I like the latter much better. And The Wind Sees All was delightful but was disappointed with The Iliac Crest. Both Tell Them of Battles and The Order of the Day required too much reading between the lines. I spent more time researching the history of both (which was very fascinating) than reading the books. Neither, in my opinion, stood up on its own. I have Disoriental, Farewell, My Orange and Small Country on my still-working-on-it longlist. Hmm, I have just read Murakami’s title and The Plotters. So The Plotters is eligible? I thought it was books published in the UK in 2018, and it seems The Plotters was published there in Feb 2019. Please remind me how this works for eligibility. Could Newcomer, by Keigo Higashino be a possibility? I thought of Hear our Defeats by Gaudé, but it seems the UK published it in 2019 as well. Standalone literary crime novels have appeared on the longlists though. Is Hear Our Defeats a literary thriller? That’s what it sounds like from the blurb. Sad for Newcomer, this is so cleverly built! Hoping to see Small Country and Farewell, My Orange. Also would like to see The Distance Between Us. Surprised there hasn’t been a shout-out for Animalia – seems like an ideal nominee. My copy of Animalia arrived yesterday from the publisher although not due out officially in UK until 20 March – so looking forward to this one. So jealous – wish I could read it now. Looking forward to your review. Scott – Who is ‘Animalia’ by? I could normally find this myself, but there’s a *really* famous Australian children’s book of the same name that’s making it tricky! Funny. Definitely not a Fitzcarraldo publication. I know it was disliked by many. But, not by all.